In 1986 Sega released the top down racing shooter ' Action Fighter ' for the Arcades and later over to the Sega Master System. 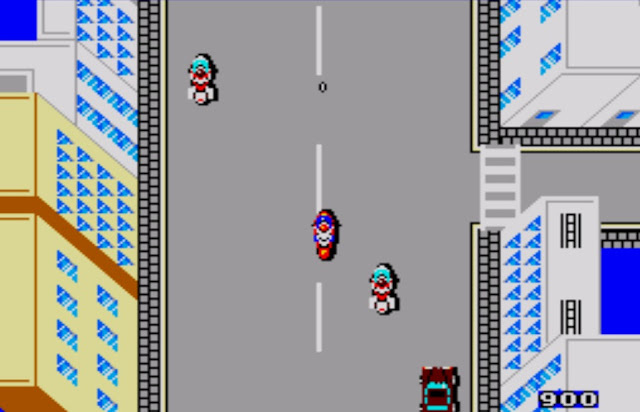 The aim of the game was to speed ahead in a multitude of vehicles such as a sports car, jet , jetski, helicopter or F1 while blasting or bumping everything in your way. It was a very enjoyable game that has reappeared this month but this time as a very early prototype with a number of differences compared to the retail release. According to Jan on the SMS Power! forums this prototype of Action Fighter compared to the original retail has an amusing game over message, no cats, no easter eggs, no cheats, destroying a hang glider wave gives you a speed up power, E&F letters change colour, first boss is a submarine with a different colour, bosses are 1 hit kills, different text, 1st level flying contains blimps, no cars in flying sections and much more including the game being faster and harder to play. As I never played the original game to completion I'll not be able to tell you any more than that. 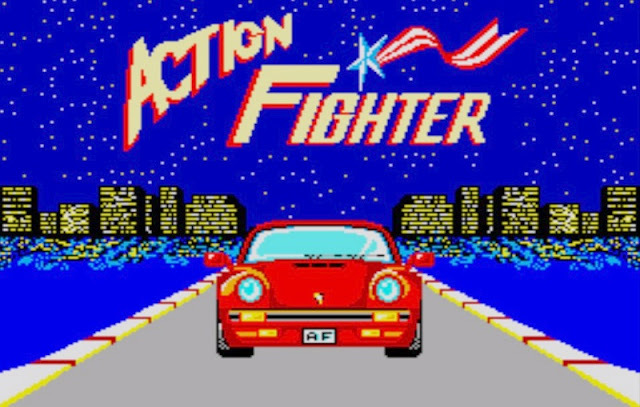 Labels: Action, Action Fighter, DOWNLOAD, Prototype, Retro Gaming, Retrogaming, ROM, Sega Master System, SHOOTER, SMS, SMS Power!